In this episode we review the SmallHD DP4 EVF hybrid field monitor and electronic viewfinder and we show you how to re-light an outdoor scene on a limited budget. 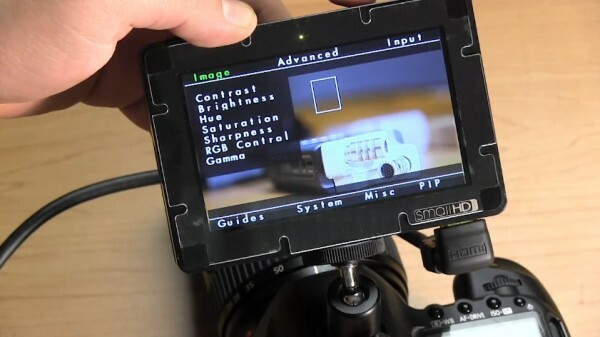 I have written a review of the DP4 EVF for planet5D which goes in more depth on a few things and has a response from SmallHD about the ghosting/burn-in issue. Read it here. Excellent video Tony. Easy to follow and immensely informative. strange times where youg unexperienced guys are giving advices and made reviews as if they had 30 years Hollywood work behind them. How can one rely on what is said here? I would rather really on people like Tony who use this new generation of products than someone who has been in the Hollywood system for 30 years!! Exactly, most ppl who visit here are not 30 yrs Hollywood production team, but who has DSLR/prosumer rig that wants to do decent film making instead of million dollar budget Blockbuster. Why are you even here if you are looking for that kind of stuff? You might as well call Michael Bay or somebody and see if they have time for you lol. You confirm what I mean. Strange times. Know enough experienced people in that business. I am here because Internet is a network with “LINKS”. Sometimes you are landing in unknown areas, where people with no one line credit in the business give technical advices. It is a good page and Tony Reale should stay humble and manage the site, but not play the big teacher on technical stuff. Too funny! It depends on which “business” you are referring to. My business is in the indie film and small commercial production industry, of which I have a fair amount of experience. My audience is typically not high level Hollywood or television productions. Tony is trusted by many people for his quality tutorials and reviews for a good few years now. May I also note that in all your comments, you did not mention even one actual mistake or issue with the above video or with Tony’s work, all you have done was be a troll and try to make out that Tony is untrustworthy because he’s not been in holywood for 30 years.. If you’re so much better than everyone else then lets have a link..